A Bank of America sign is pictured outside a bank branch in Charlotte, North Carolina, in this January 19, 2010 file photo. CAMDEN, Maine — Camden National Bank will take control of 15 Bank of America branches in three counties on Friday afternoon, as well as 38,000 associated customer accounts. While it’s a strategically important acquisition for Camden National, making it the fourth largest bank in Maine in terms of deposits, not all soon-to-be Camden National customers are happy their BofA accounts were sold without their consent. Camden National will take control of about 38,000 customer accounts belonging to roughly 30,000 customers. Those savings and checking accounts include approximately $300 million in deposits, as well as $10 million in loans, said Gregory Dufour, Camden National’s CEO. The deal is worth $20 million; about $5 million for equipment and real estate, and about $15 million for customer accounts, Dufour said. Camden National’s roughly $1.9 billion in deposits will make it the fourth largest bank in the state, behind TD Bank, KeyBank and Bangor Savings Bank. In the Greater Bangor region — where it had $107 million in deposits as of June 30, according to the Federal Deposit Insurance Corp. — it will vault from the eighth largest to the fourth largest, surpassing Katahdin Trust Co., KeyBank, BofA and Machias Savings Bank, according to Jennifer Roper, a spokeswoman for Camden National. 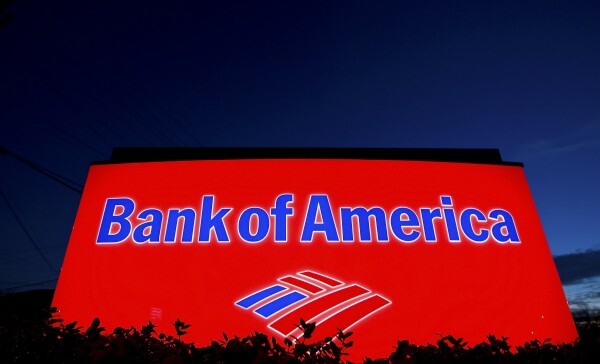 The acquisition was announced in April as part of BofA’s nationwide effort to close more than 200 branches and increase its efficiencies. BofA sent letters in August to customers whose accounts were being sold as part of the transaction, Dufour said. BofA determined which customer accounts were part of the transaction, though Camden National had to approve them, Dufour said. BofA considered the account’s branch of origin and where the majority of activity had been recorded, he said. While the majority of customers affected will likely not have a problem transferring to Camden National, Dufour admits some customers may have concerns. One of those customers is Sarah Smiley, a mother of three who lives in Bangor. Smiley said she never saw the August letter from BofA and it wasn’t until last week that she saw a notice online that BofA was selling her accounts to Camden National. Smiley was not pleased. She and her husband, who is deployed overseas as a U.S. Navy pilot, have been BofA customers for 13 years, first opening their accounts in Florida. They’re a military family and need a national bank because her husband will be working from Washington, D.C., once he returns, said Smiley, whose column is published in the Bangor Daily News. A BofA customer service representative told Smiley there was nothing she could do except wait until her BofA account was transferred, then close it and start from scratch with BofA. To open a new BofA account, she would need to visit a branch, the closest of which would be two hours away, and her husband would need to be there to sign the paperwork. Smiley closed her BofA accounts Wednesday and transferred all her funds to USAA. “There needed to be some process to exclude people after the fact,” she said. T.J. Crawford, a BofA spokesman, claims there is such an exclusion process, though he admitted customers were not given the option beforehand to opt out of having their accounts be included in the transaction. “When a customer brings a legitimate concern, we will work — and have been working — with Camden on a possible solution for all parties. We’re certainly able to make exceptions, but they’re handled on a case-by-case basis,” Crawford said. Crawford would not comment on Smiley’s case and would not disclose the criteria BofA used to determine which accounts were sold. While Camden National cannot exclude any accounts from the transaction, Dufour said his bank is happy to help any customer who has questions or concerns about the process. Its call center’s hours are extended over the weekend to handle the expected questions and concerns, he said. “We’re a community bank, we’re local, and therefore when you have a question you can get to us and we’ll respond as rapidly as we can,” he said. Camden National is acquiring the BofA branches in Auburn, Brewer, Gardiner, Lewiston, Newport, Old Town, Rockland and Waterville, as well as three branches in Augusta and three branches in Bangor. It also is acquiring and expects to reopen the branch in Orono that BofA recently closed, Dufour said. Because of regulatory requirements, it will be forced to sell the Rockland branch to The First, he said. The new branches in Waterville and Augusta will represent Camden National’s first entry into those markets. In Bangor and Lewiston, where it currently has branches, consolidation will occur, he said. “It was a really strategically important acquisition for us because it does … allow us to enter new markets with strong critical masses and communities we’ve always wanted to be in,” Dufour said. The $300 million of deposits will increase the amount of money Camden National is able to loan back into the community, Dufour said. The bank has hired eight new lenders, four commercial and four consumer, who will be based throughout the new branches. The acquisition also prompted Camden National to increase its back-office operations, adding 45 new full- and part-time positions, according to Roper.